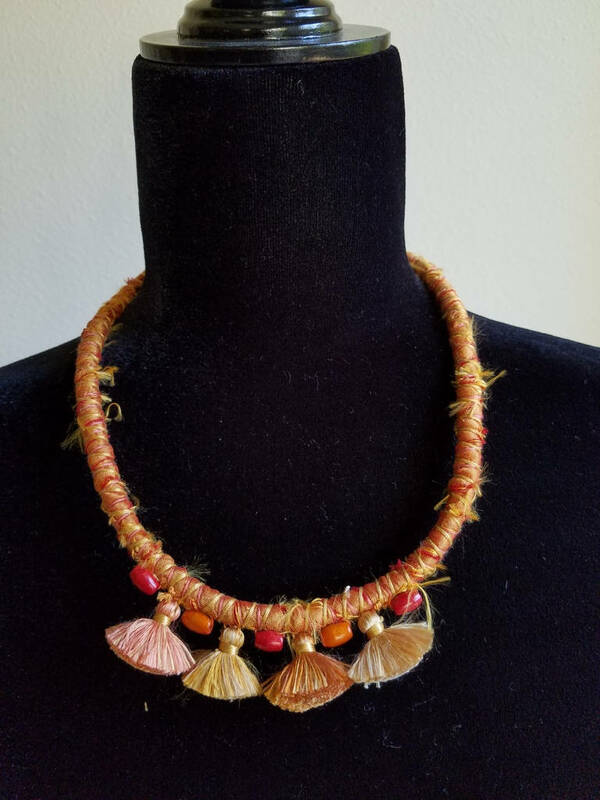 This tribal fiber choker necklace in bright orange and red is a real statement piece! 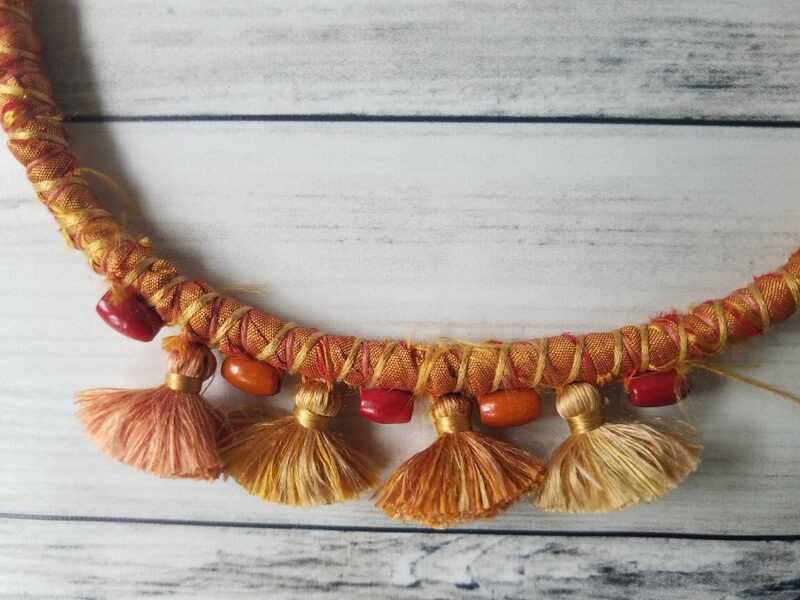 Its beautiful flame colors are sure to liven up your outfit and bring a cheer to your day! 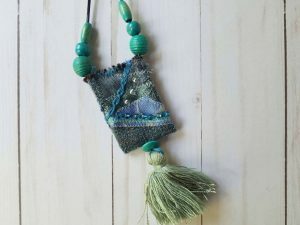 Made of rescued textiles, four soft up-cycled tassels and wooden beads, it is an eco-friendly, handcrafted and one-of-a-kind piece of wearable art. Get it for yourself, or as a gift to a special woman in your life. 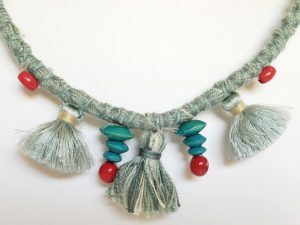 – The necklace is 18.5" long. 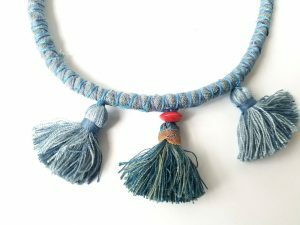 Made from rescued silk and other textiles looped around a cord. 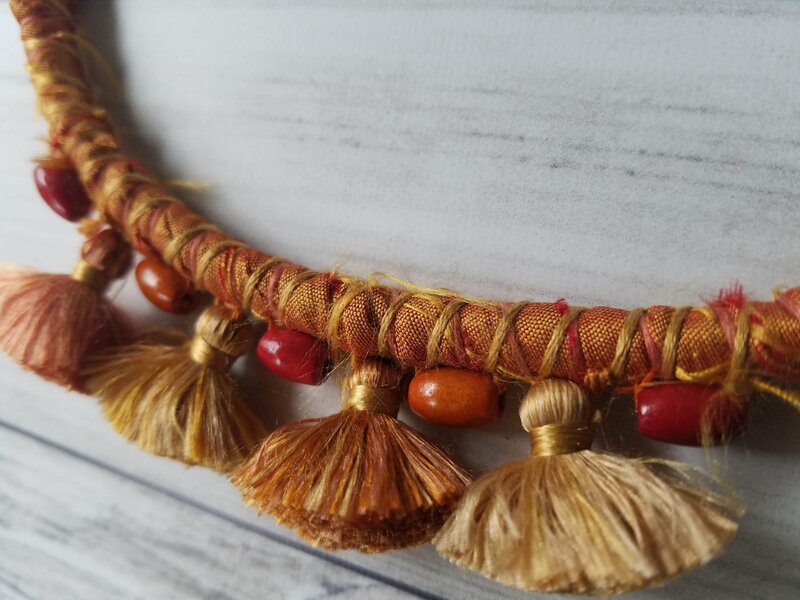 Decorated with four tassels and wooden beads. 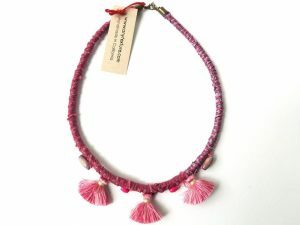 – The necklace is constructed from repurposed silk wrapped with several different matching colors of embroidery floss. 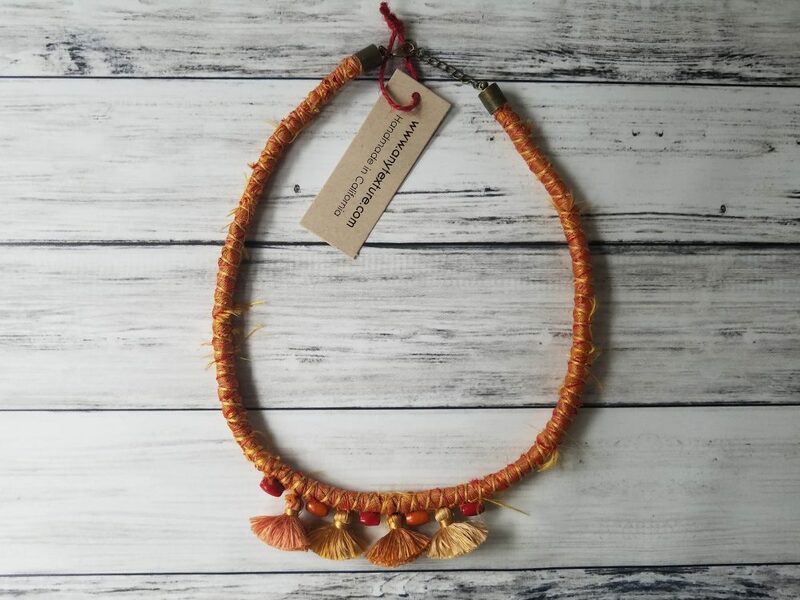 – It is adorned with four small soft tassels, and also with orange and red wooden beads. – Some fringing is expected. 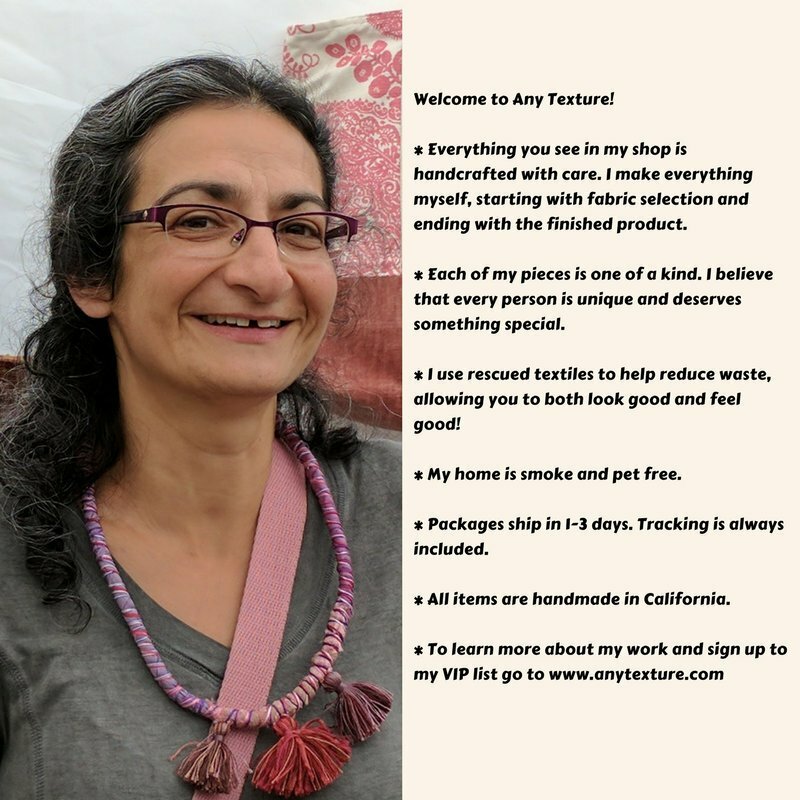 – Sustainable, eco-friendly, rescued fabrics. – Designed and made by me in my pet-free, smoke-free home.